Fancy some diving, kite-surfing or even a round or two of golf? This Caribbean island is one of the best adventure-travel spots in the world. 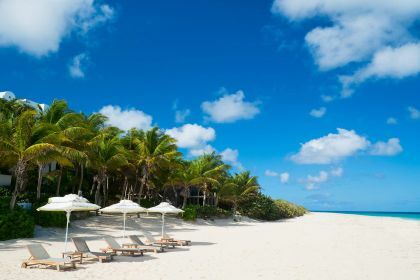 Along with St Barts, Antigua and Barbados, Anguilla offers an ideal backdrop for a luxury yachting vacation. 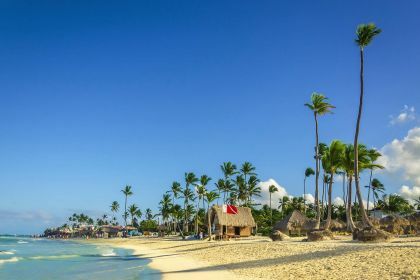 Whether you are looking for glitz and glamour or understated, laid-back luxury, this British overseas territory (British Virgin Islands) in the Eastern Caribbean will bewitch you with its charms. It’s also a hotspot for water-sport enthusiasts, so get out there and have some fun. Fancy some diving, kite-surfing or even a round or two of golf? This Caribbean island is one of the best adventure-travel spots in the world. 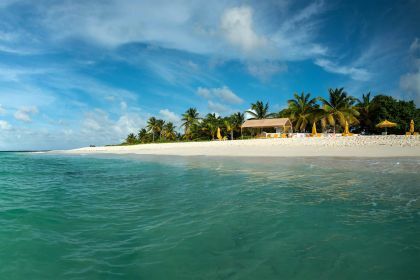 Along with St Barts, Antigua and Barbados, Anguilla offers an ideal backdrop for a luxury sailing or motor-boat vacation. The magnet for your sailing vacation will probably be Sandy Ground, the island’s main port. From here, you can kick back and feast your eyes on the myriad yachts that arrive each year, drawn by the island’s abundant offerings. You’ll be in good company too. Hollywood stars Leonardo DiCaprio and Toby Maguire were spotted in Sandy Ground enjoying a sailing vacation on Steven Spielberg’ super-deluxe yacht, Seven Seas. Not to be outdone, Uma Thurman, Robert DeNiro, Paul McCartney and Ethan Hawk, among others, are also frequent visitors to Anguilla. When it’s time to indulge your inner thrill-seeker, Anguilla has plenty of adventure activities lined up for your pleasure. Dive in warm, translucent waters to see shipwrecks, sea turtles, colourful fish and coral reefs. We recommend the helpful instructors at Shoal Bay Scuba for a fun, safe diving excursion. Or how about a dip with dolphins? The team at Dolphin Discovery will have you swimming with these beloved marine creatures in no time at all. Then there is kite-surfing, jet-skiing, stand-up paddle boarding, kayaking, and every other water sport you can think of. Anguilla’s unspoilt beaches are also ideal for horseback riding. The able and experienced crew at Seaside Stables will take you riding along pristine white sands, hugging the coast, magnificent rocks on one side of you and crystal-clear azure waters on the other. And if the fancy takes you, you can ride your horse into the shallow waves. The experience is truly intoxicating and will leave you with unforgettable memories. Rookie and experienced golfers are also in for a treat in Anguilla. Ever dreamed of teeing up at a Greg Norman-designed course, with a view of the Caribbean Sea and the island of St Martin in the distance? Well, it can become a reality with the exclusive CuisinArt Golf Resort & Spa. Serial or even occasional shoppers also generously catered to. A recommended option for quality memento shopping is Limin’ Boutique in Anguilla’s West End Village. Whether it’s summer clothing, jewellery or a beach bag you’re after, the boutique offers stylish, locally made items of high-end quality. You could endlessly wax lyrical about Anguilla. But it’s better to see it for yourself, feel it with your skin, taste its delights with your own palate and breathe in its crystal-clear sea air. The island is certainly customised to the upscale market. Sandy Ground is a hub of Anguilla’s high-end restaurants. In Veya Restaurant, for example, you can sample peerless lobster dishes, shrimps, crayfish, and, of course, their signature shrimp cigars. For non-seafood lovers, there is a wide selection of delectable meat and vegetarian dishes, not to mention a heavenly sweets menu. Unforgettable cuisine is not only the preserve of Sandy Ground though. Da’Vida in The Valley (the capital of Anguilla, one of its 14 districts, and the main town on the island), is specifically renowned for the foodie offering at Blanchards Beach Shack and the Straw Hat Restaurant, both in the West End Village. Geraud’s Patisserie in South Hill, meanwhile, wows with its memorable patisserie delights. 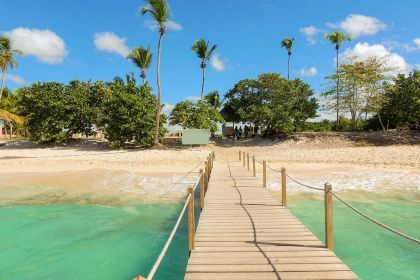 A recommended, idyllic island-hopping line-up in Anguilla and the Caribbean could include a slow meander from Marigot in St Martin, covering cover Crocus Bay and Scrub Island in Anguilla, Gustavia and Colombier in St Barts, and ending off in Philipsburg and the Pinel Island, St Martin. The exotic names are enough to kindle your inner pleasure-seeker. Give us a call or drop us a line using this charter enquiry form and we will happily assist you in planning your dream vacation in Anguilla. Whether you are looking for sailing or motor yacht charter, your friendly Abberley charter broker is here to help.